my dark blue 312 is fading "chalking" mostly aroud the bow end. has anybody had experience how to deal with this? i tried car polish . looked very good- but only for 3 weeks. would special stuff like from 3M do a better job? or is polishing hopeless and repainting or even "wrapping " the only solution? I would appreciate hearing from anybody who found a solution? thank you! All coloured gel coats have this issue eventually - called oxidization. Note, don't use the one step cleaner/wax. They don't protect that well. For the removing the oxidization, use a good foam pad specifically for rubbing compounds (they are very firm). Alternatively, you can use a wool pad that is specifically for that purpose. The wool is a bit more aggressive. 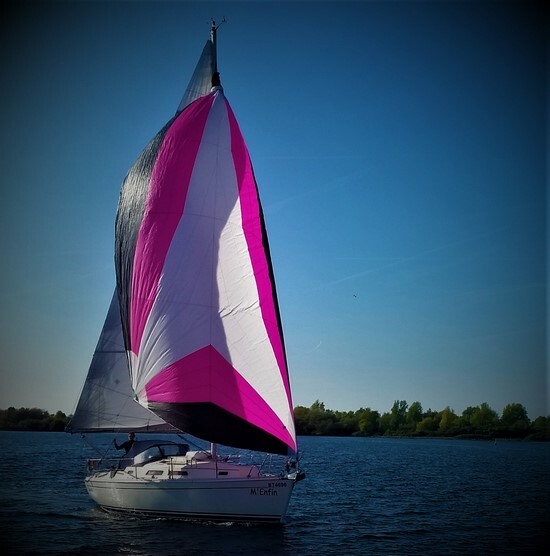 I gave up a few years ago trying to keep my dark blue hull glossy - the effort every year was not worth the couple of months it stayed good. The answer is to have it vinyl wrapped - choose your original colour or a new one. I've had minor damage caused by a burst fender scrape the vinyl but that was quickly and cheaply repaired. 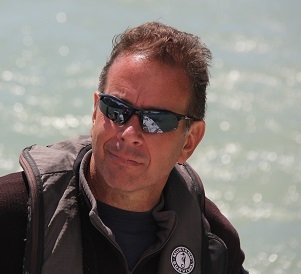 I have a light blue hull 315 which someone punched a hole in last year - I the guy was good and paid for it. However, the original colour gel coat colour and the hull had a massive difference in colour. The only way they could get it to match was to sand it down the hull with 600 paper to get to the same colour as the repair and then use Aquabuff 2000 to finish off. 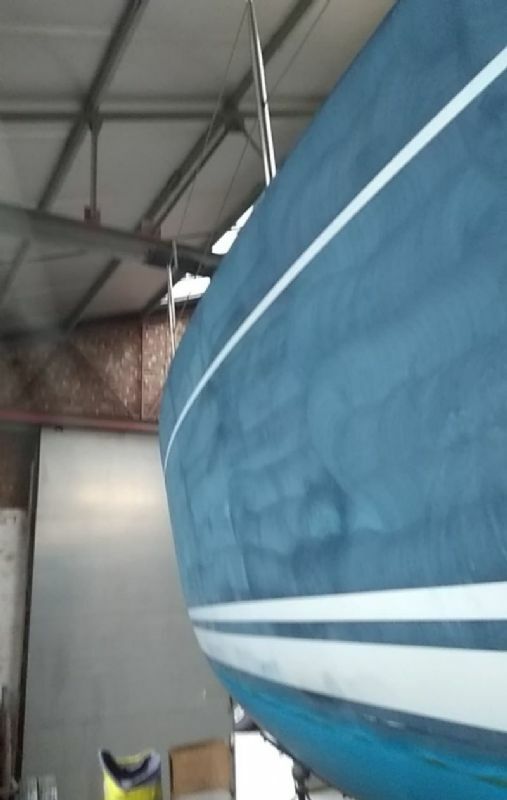 The other thing I noticed last year before the accident on the other side of the hull , was where I have a 2 metre cloth over the side to protect from fender rub, there was no UV damage to the hull under this cloth from the year previous polishing. So this year I'm going to make up some fender cloths that go most of the way along the hull. This week we sanded the hull of our 315 Pieterman. My son did most of the hard work. Some little holes were filled. Next week the hull needs a last sanding and cleaning. An then it is time to re-paint. I'm looking forward to this job. 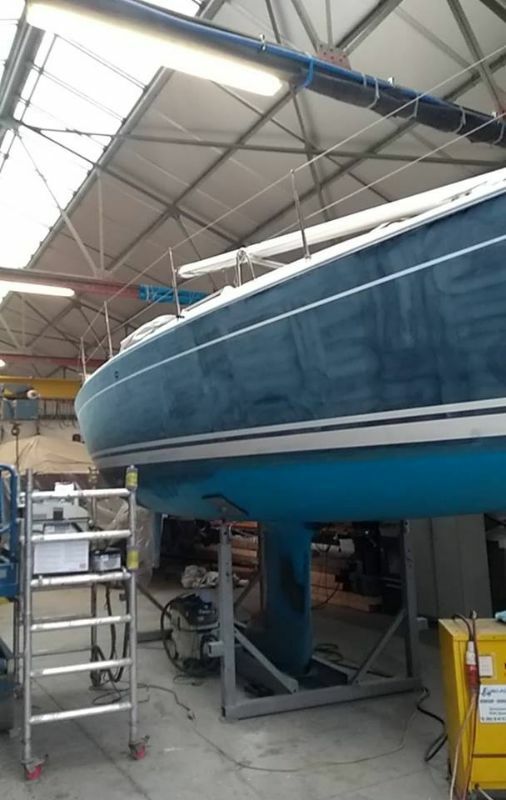 Instead of the two white lines at the waterline, we will paint the antifouling a bit higher (to the bottom of the current thick line), then have one smalle blue line and above one broad line (to the top of the current small line). This broad line will continue to the very front of the bow so the port and starboard side become one. It will not be Hanse-Hanse, but it will be to my liking. I'm looking forward to it. You're always very welcome in Ostend. I'm looking forward to the coffee, and perhaps a Brugse Zot as well.